This past weekend a snow storm came and blanketed the city in a layer of white powder. I quickly changed into my cold weather gear, grabbed my camera, and headed out into the wintry city. I walked the length of midtown Manhattan, hoping to get a few winter scenery photos. 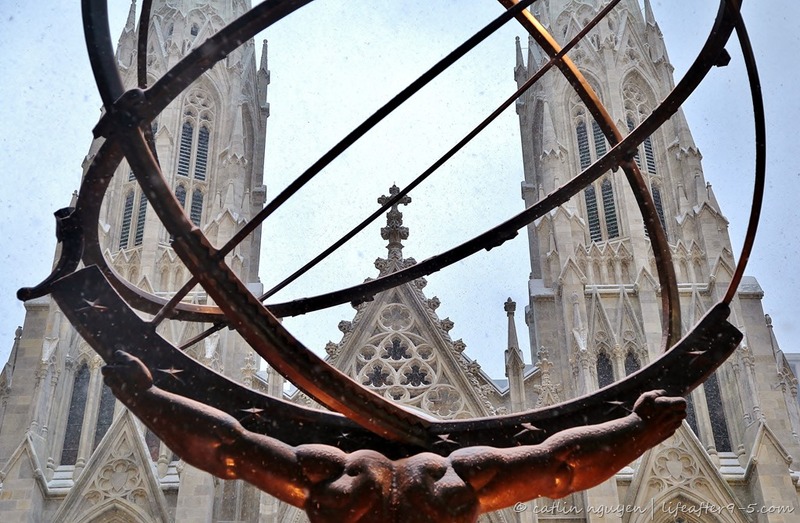 As I trudged by Rockefeller center passing the oft-photographed art-deco statue of Atlas, I took this photo from the entrance of 30 Rock showing the vantage point from the back of the bronze sculpture looking across Fifth Avenue to St. Patrick’s Cathedral.